Saw Black Arrow in a store window this afternoon. I think the treatment around the title and author name drew my attention as much as the illusration. The colors are a little flat, both in real life and in this scan. 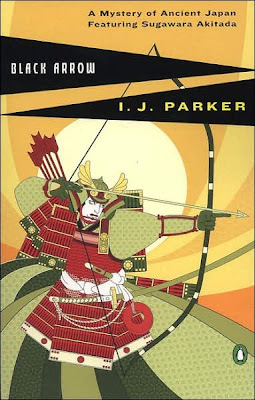 I didn't know, though, that this is a book in a series, and that the colors on the other books are rich and saturated. 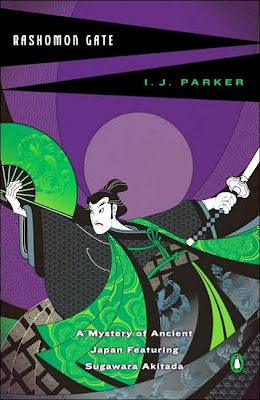 But what they might gain from vibrant color they lose in placement of the blurb for the series. It's much better placed on Black Arrow. tu blog es muy interesante, me gusta la especificidad del tema. lo disfruto. 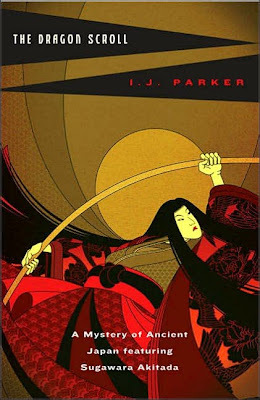 The artist is Julius Ohta, a Japanese-Brazilian, and I agree absolutely that he does wonderful cover designs.